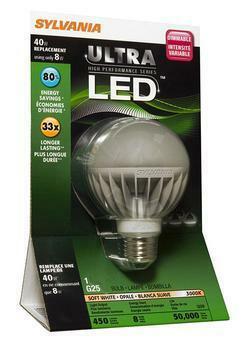 Lighting Science Group of Satellite Beach, FL, is recalling about 554,000 LED light bulbs. The bulbs can overheat during use, posing a fire hazard. The company says it is aware of 68 incidents of product failures -- eight of which were accompanied by visible smoke or fire conditions. The incidents include damage to light sockets, melted fixtures, burned rugs/carpet/ floors, damage to a circuit and to a lamp. There have been no reports of personal injuries. The bulbs, manufactured in China (with a small number of products having final assembly in Florida or Mexico) were sold at Various retailers including hardware and lighting and electrical supply stores. Consumers may contact Lighting Science Group toll free at (855) 574-2533 from 9:00 a.m. to 6:00 p.m. ET Monday through Friday.